How much does it cost to travel to Kolkata (Calcutta)? How much money will you need in Kolkata (Calcutta)? ₨897 ($13) is the average daily price for traveling in Kolkata (Calcutta). The average price of food for one day is ₨139 ($2.00). The average price of a hotel for a couple is ₨1,375 ($20). Additional pricing is in the table below. These average travel prices have been collected from other travelers to help you plan your own travel budget. How expensive is Kolkata (Calcutta)? Formerly known as Calcutta, Kolkata is the capital of West Bengal, India. Featuring colonial architecture, galleries, temples, and festivals, the city has flourished from its roots as an East India Company trading post in the 18th Century to a thriving metropolis. Today Kolkata is a diverse center of culture and bustling activity. As far as sights go, the city of Kolkata is a mix of colonial roots with local heritage. Some odes to the British colony include the impressive Fort William citadel built in 1773 and the imposing Victoria Memorial fashioned in white marble, which houses a collection of artifacts related to the British Raj and other periods of Indian history. For more insight into the city's past, visit the Indian Museum to see galleries devoted to showcasing a collection of archaeology and art as well as items under the fields of geology, zoology, and botany. Speaking to local heritage are the temples situated in Kolkata. 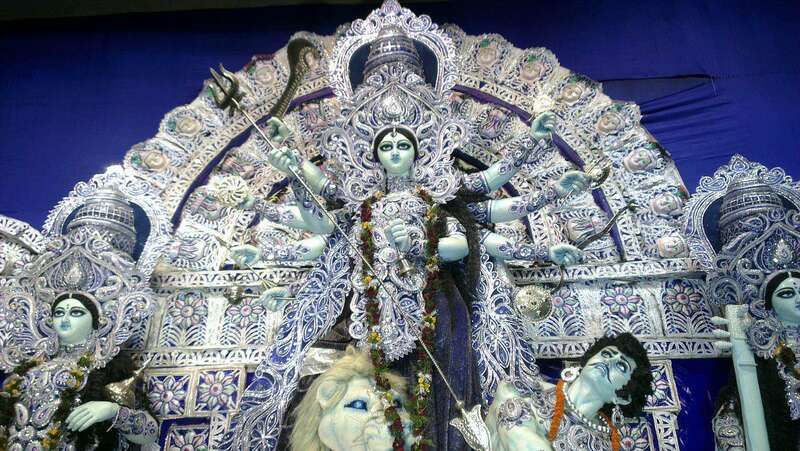 One such place is the Dakshineswar Kali Temple, dedicated to the Hindu goddess of destruction, Kali. There are also twelve smaller temples in the courtyard dedicated to Shiva, Radha, and Krishna. Though fairly recent in construction, the Birla Temple is also an impressive sight to admire. Other attractions include the Eden Gardens (located in the Maidan District), South Park Street Cemetery (first opened in 1767), St Paul's Cathedral (constructed between 1839 and 1847), and Mother House (headquarters of the Missionaries of Charity, founded by Mother Teresa, whose tomb is on site). Some of the more frequented districts of Kolkata include South Kolkata, the Colonial District, Maidan, North Kolkata, East Kolkata, as well as Howrah and Hooghly. South Kolkata is mostly residential with classier neighborhoods and many of the city's big malls like South City, Quest, Acropolis, and Forum. The Colonial District is where all the heritage buildings of that era remain, including structures like Raj Bhavan (Governor's House), Bidhan Sabha (State Assembly Building), Kolkata Municipal Corporation Building, and St John's Church(oldest in Kolkata). This area is also a hub for rickshaws, street food vendors, and shops. Maidan, at the heart of the city, consists mainly of lush open parkland, home to gardens, monuments, and other historic structures. Park Street is the major attraction here which hosts a number of upmarket lounges, restaurants, bars, shops, and colonial buildings. North Kolkata makes up the older part of the city with narrow lanes and century-old architecture, while East Kolkata encompasses a developed area of malls, hotels, theme parks, and housing estates. Howrah and the urban part of Hooghly, though technically separate from Kolkata, are also examples of city life thriving with history and culture. In addition to exploring the sights above, there are plenty of sightseeing tours available for those seeking a more guided experience. Other activities include scoping the city out on foot, taking a boat cruise on the Hooghly River, going to the cinema, or enjoying a festival, amongst other things. Shopping, too, is common with a number of popular malls and markets throughout the city. Chowringee is the main marketplace of Kolkata, and a favorite with locals. Others include Maidan Market for cheap sports items, Chandni Market for all small electronical gadgets and parts, and New Market for all kinds of clothing, toys, and collectibles. While the cuisine of Kolkata is as diverse as its population, native dishes of the area are a result of Bengali cooking. Traditionally, Bengali meals are composed of multiple courses which consist of a starter (small portion made from bitter vegetables or herbs), shak (leafy vegetables), dal (more substantial dish, usually with potatoes or rice), main course (fish), additional main course (meat), chutney (usually tangy and sweet, made from items like tomatoes, mangos, pineapple, tamarind, papaya, etc. ), and dessert (usually doi, a kind of yogurt). Mughali Paratha (a kind of flatbread stuffed with minced meat) is a Kolkata specialty, as are snack foods like 'chops,' a sort of deep fried ball stuffed with beets and vegetables. Bengali sweets like rasagolla (cheese balls dipped in sugary syrup) and mishti doi (sweetened yogurt) are also renowned. Throughout the city there are plenty of restaurants serving Indian cuisine as well as vendors selling tasty street food. Kolkata is also home to Indian Chinese food, in addition to many great options for Thai, Indonesian, and Japanese flavors. By plane, Kolkata is served by Netaji Subhas Chandra Bose International Airport, located about 17 kilometers from the city center. This airport connects the city with Southeast Asia and some of Europe, with flights towards the Western hemisphere handled by Emirates and Qatar Airways. By train, the two major stations serving Kolkata are Howrah and Sealdah, which connect the city to most other major stations in India. Bus, taxi, and boat options are also available.